The Cambridge shop carries local honey and varieties from around the world. Canning, 50, began working with a beekeeper, a family friend in Central Massachusetts. After two years, she started tending her own bees on 18 acres of land she owns in Warwick. 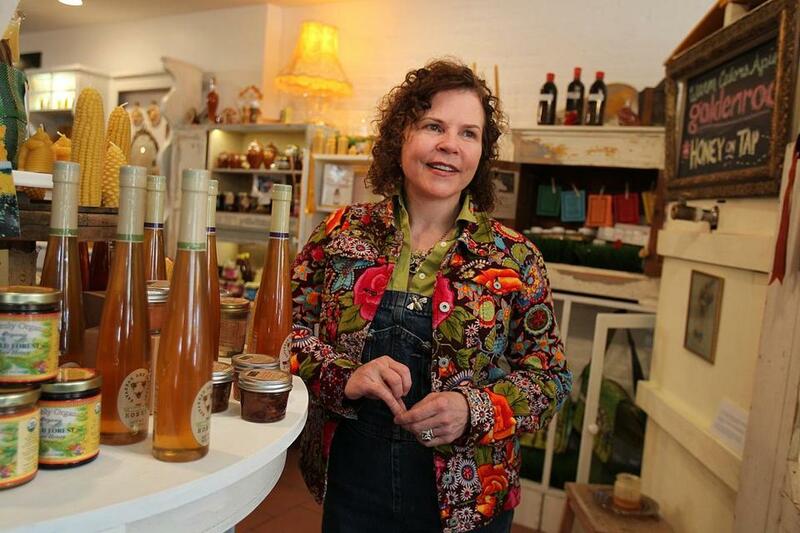 Then, despite having no retail experience, the Cambridge resident took her love of bees and opened Follow the Honey, a shop near Harvard Square. Opening day, Aug. 20, was selected to coincide with National Honey Bee Day. Follow the Honey is a family affair: Canning’s husband, Ingo Winzer, is her business partner, and her daughter, Caneen, designed the store and website. 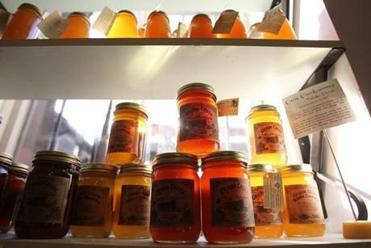 The shop carries honey from local vendors, as well as varieties from around the country and the world. Canning says her goal is to have honey from each state. The store also offers everything bee- and honey-related, from beginner beekeeping equipment to jewelry to kits for making honey wine. A popular feature at the store is the Honey on Tap. 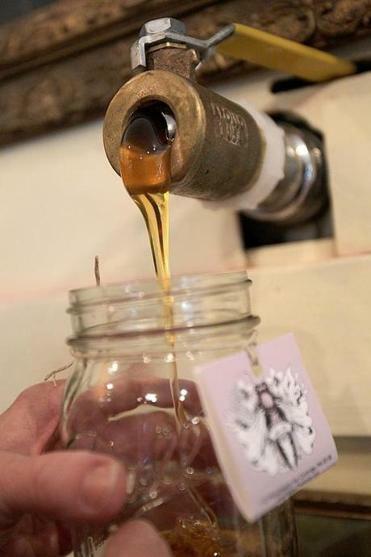 To give customers an idea of what it takes to make honey and to spark conversation about the food, Canning has live bees on display and honey on tap that can be dispensed for purchase. The type of honey on tap rotates often, depending on availability, and Canning says she plans to install two additional taps during the year. Therefore, one can be for Massachusetts honey, one for honey from another state, and one for an international honey. Canning says she also hopes to be able to harvest honey from her own bees in Warwick this year under a Follow the Honey label. Canning spent more than a dozen years at WGBH as research and production support on “Frontline,’’ and as an associate producer for “Nova.’’ Now she has a sweeter gig, selling raw honey, which means it has not been heated to more than 120 degrees. The heating process for supermarket-variety honey, says Canning, makes it “clear and pretty’’ but destroys the food’s natural enzymes, amino acids, and minerals. Raw honey can crystallize and firm up, but Canning says it does not mean it is bad or expired. Any honey that has hardened can be liquefied by dipping the container in a pan of simmering water. Sarah Mupo can be reached at spmupo@gmail.com.